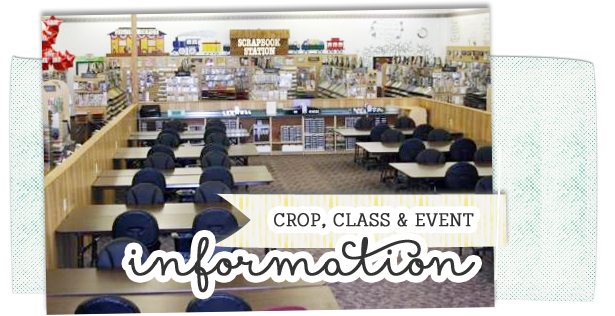 We would love to have you attend a class or crop! Please call 724-287-4311 to register. Click on the event title for full information and pricing. Each month in the Project Class we complete a different project helping you learn the features of the Silhouette machine and software and what you can do with it. This class isn’t necessarily about making pretty things, it’s more about learning what you can do with your machine. This class is taught by a Licensed Instructor for Silhouette. Each participant will bring their own Silhouette Portrait or Cameo machine, a laptop with the Silhouette software pre-loaded, cords, blades and cutting mats. Be sure to read the details of each project, sometimes you’ll be required to download an image or bring an item necessary to complete the project. JANUARY & FEBRUARY: The Silhouette Cameo Project class for January and February is going to be a PixScan mat class. We have offered this class before and always get lots of requests to do it again so I thought the timing is right. I know the PixScan can be a source of frustration for some so hopefully, I can change your mind about it. The CAMEO Pixscan™ Cutting Mat unlocks a whole new world of project possibilities. PixScan™ technology allows you to cut precisely around any printed image or position cut lines in a specific location on your material using a camera or scanner. PixScan™ is perfect for digitizing a stamp collection or turning a hand-drawn sketch into a cut job. Before you come to this class please know how to get a picture from your camera or phone downloaded to your computer. The biggest hang-up we have with this class is students being unable to load pictures into their computer. Bring your camera or phone cord as we do not have WiFi available in the store. Cancelation policy: Fees are non-refundable. Notify us 3 days prior to date & we will reschedule you to another class. If no notice is given, fee is forfeited. Workshop is closed to open cropping for all scheduled classes and crops. *Indicates a special event requiring registration to participate or an event for which the workshop is closed.